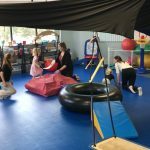 InterPlay “Best Practice Training” provides professionals with opportunities to participate in continuing education activities and training with the highest standards. Contact us for further information or check our Facebook page. We offer opportunities for mentorship and training programs, where occupational therapists can further develop their clinical skills and increase their theoretical knowledge. 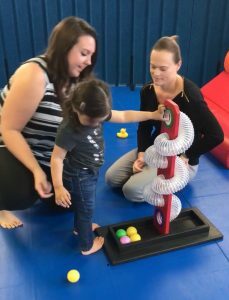 These programs focus on hands-on experience to assist therapists in developing clinical reasoning skills to advance their practice using mainly a sensory integration frame of reference. Professionals will receive guidance on the assessment process, interpretation of results, intervention planning, and hands-on treatment implementation. Research studies and other resources will be provided to support best practices. 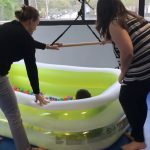 Our personalized hands-on training program for increased clinical reasoning in intervention is conducted in our Palm Beach Gardens location, and it is customized for each professional. We prefer not to offer training to large groups since we want to focus on every clinician’s level of knowledge and allow for one-on-one practice. Upon request, we will consider taking more than one person at a time. 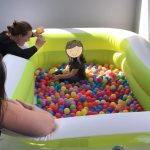 During the course of this program, you will review the sensory integration theory, develop treatment plans and carry out the intervention in our sensory gym. Throughout your treatment, you will be directly supervised by Dr. Maria del Pila Saa and/or any other of our in-house SI certified therapists. We will help you modify your activity choices to better fit your client’s profile, provide you with feedback, and give you ideas on how to advance your clinical skills and better apply theory to practice. You will have individual time to review videos and have a theoretical review of your identified areas of need. You will have the opportunity to be present during one or more evaluations performed by our team of clinicians. Later on, you will perform an evaluation under our direct supervision and will receive guidance and examples of how to analyze the information, write an evaluation report, goals and objectives. 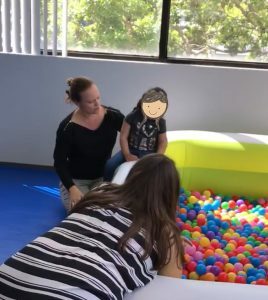 Observe children in direct therapy with experienced therapists. Experience active mentoring before, during, and after hands-on treatment sessions. Observe a direct evaluation with Dr. Maria Del Pilar Saa and go through the clinical reasoning process with her. Perform an evaluation under direct supervision guided by Dr. Maria Del Pilar Saa and receive guidance for report and goal writing. Implement interventions under the direct supervision of our in-house therapists. 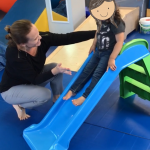 Identify different types of Sensory Integration Patterns. Utilize clinical reasoning skills for intervention. Recognize realistic and functional goals using Goal Attainment Scaling. 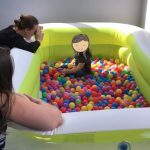 Become familiar with appropriate tools to evaluate children with Sensory processing difficulties. Observe client sessions and discuss treatment planning. Treat individual cases and discuss intervention planning and implementation. How to address family needs and desires while addressing the child’s underlying foundation difficulties. Synthesize information in an OT assessment, write treatment notes using clinical reasoning approach, and communicate with physicians and parents. $1,200 per person per week.